Explanation: On October 19th, a good place to watch Comet Siding Spring will be from Mars. Then, this inbound visitor (C/2013 A1) to the inner solar system, discovered in January 2013 by Robert McNaught at Australia's Siding Spring Observatory, will pass within 132,000 kilometres of the Red Planet. That's a near miss, equivalent to just over 1/3 the Earth-Moon distance. Great views of the comet for denizens of planet Earth's southern hemisphere are possible now, though. This telescopic snapshot from August 29 captured the comet's whitish coma and arcing dust tail sweeping through southern skies. 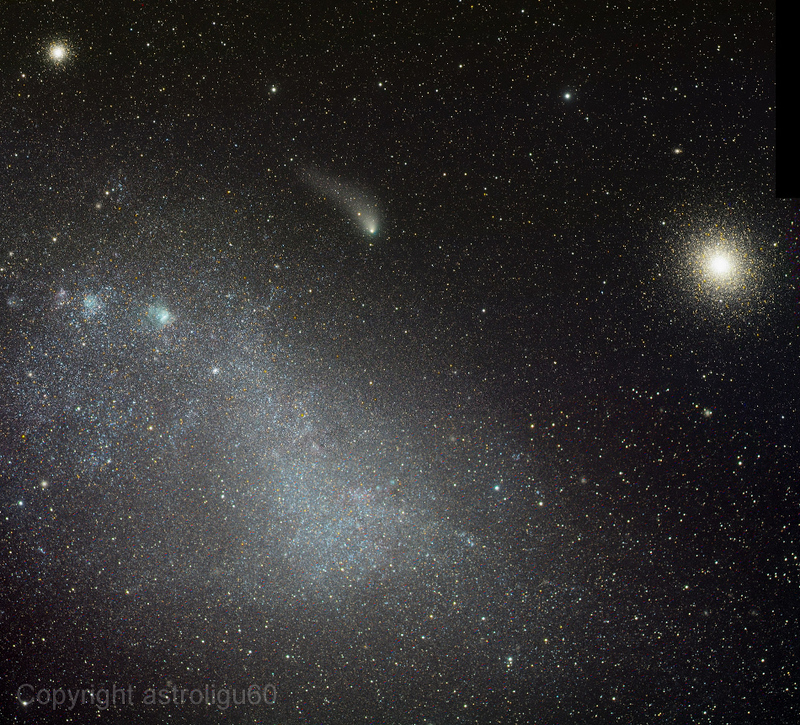 The fabulous field of view includes, the Small Magellanic Cloud and globular star clusters 47 Tucanae (right) and NGC 362 (upper left). Worried about all those spacecraft in Martian orbit? Streaking dust particles from the comet could pose a danger and controllers plan to position Mars orbiters on the opposite side of the planet during the comet's close flyby.